Whatever city we visit, we’re always seeking out free copies of street press that can usually be found in shops and cafes, as we believe the quality of a city’s street press reflects the creative vibe of the city. Our latest discovery in Singapore that accompanied us on our MRT train rides and jaunts down the cool suburb of Katong is Catalog magazine. We love the chaotic illustration of the above issue and when it comes to street press, you can judge them by their cover, as Catalog’s contents do measure up equally. Inside we found the latest fashion news, trends and the best buys in the country all well laid out within its pages of snappy editorial, just what visitors like us needed to have at our fingertips. 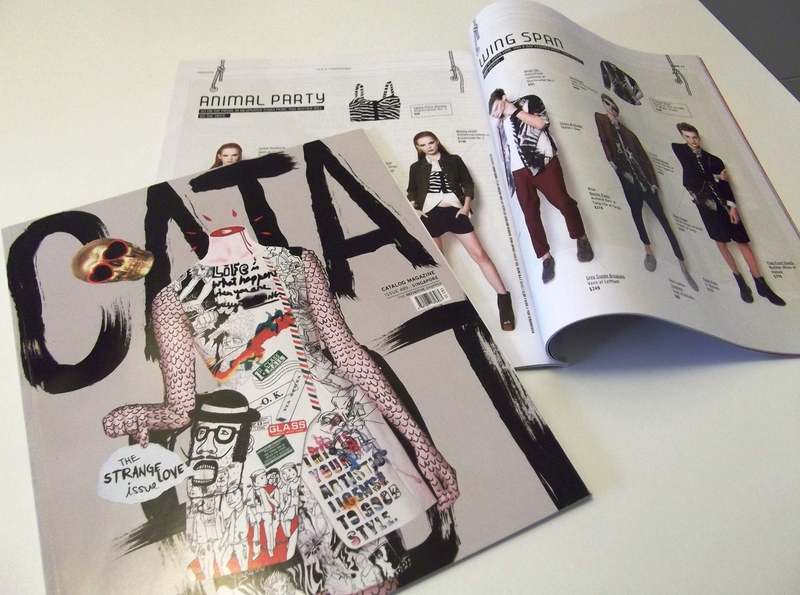 Its website www.catalogmagazine.com stays true to the print version in its look and feel. It’s definitely an online resource we’ll be checking out before our next trip to Singapore, where we’ll no doubt be looking out intently for the print issue around the corner when we’re there.